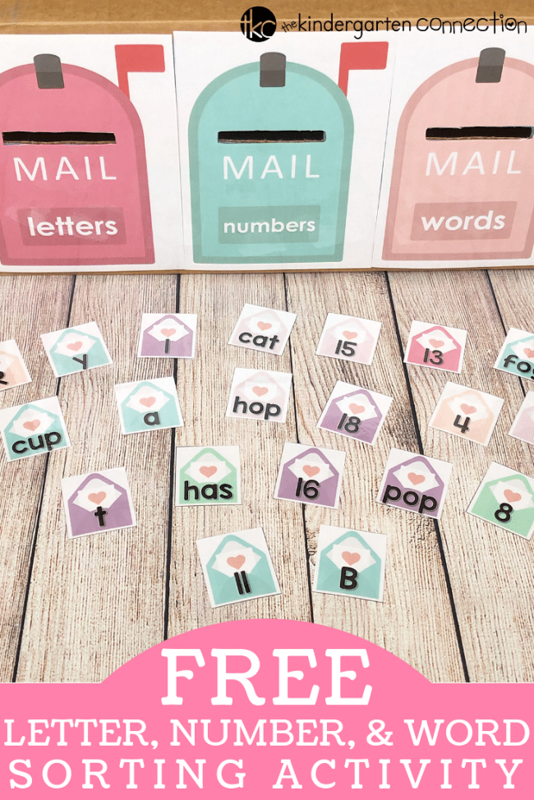 FREE Letter, Number, Word Valentine Sorting Activity for Kindergarten! Valentine’s Day will be here before we know it and all the adorable Valentines will soon be passed out. One of my favorite things to do all year, but especially during the month of love, is to write my kids notes telling them all the things I love about them. 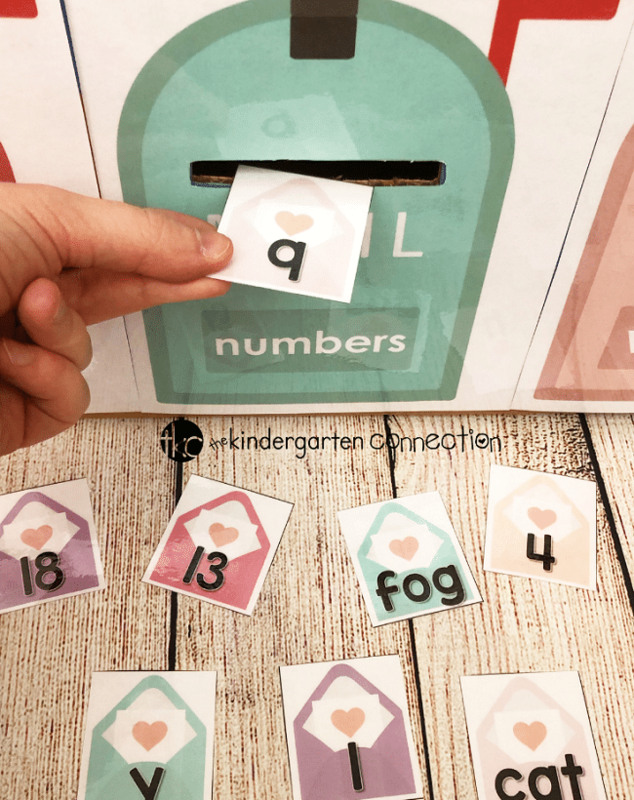 Giving love notes inspired this Letter, Number, Word Valentine Sorting Activity which will engage young learners and help them to distinguish between letters, numbers, and words. 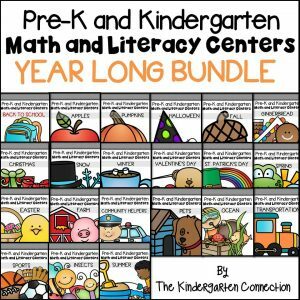 *Pair this with our Valentine’s Day Centers & Activities for Pre-K/Kindergarten! The simplicity of this activity makes it one of my favorites! 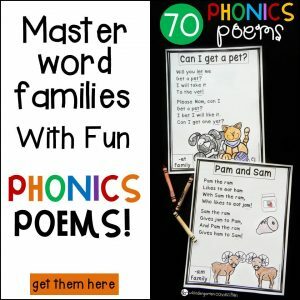 It’s suitable for Pre-K, Kindergarten and can be used as review for 1st grade too! I like to use it in small groups or for independent practice as a center activity. 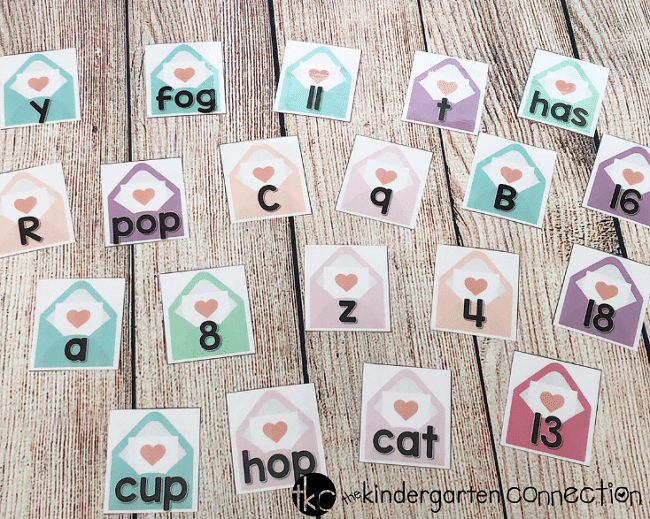 Let’s get started with this easy-prep Letter, Number, Word Valentine Sorting Activity! 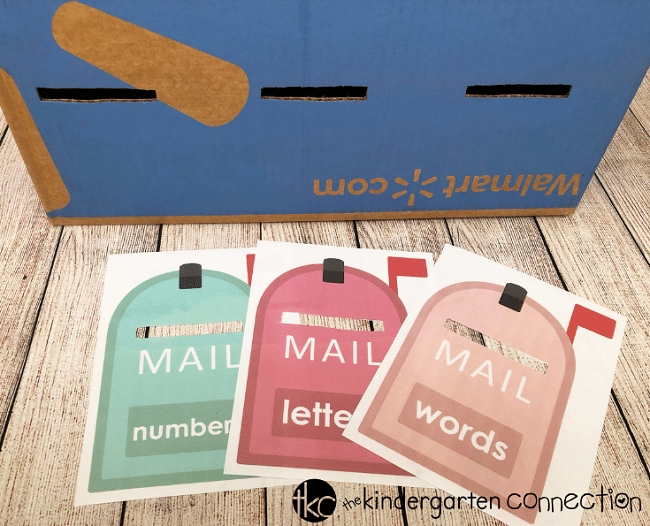 Laminate and cut out the letter, number, and word mailboxes and envelope cards. Once everything is laminated and cut out, cut out the hole on each of the mailboxes that says “cut out here” and use an Exacto knife to cut out the slits on the box you are using. I love using open back boxes, like shoe boxes, for these types of activities. Using open back boxes makes it easier to grab the cards to repeat the activity or allows you to easily grab the cards when you are done. You can use one box, or multiple boxes, depending on what you have available. Once you have all of the slits cut, tape each of the mailboxes to the box. 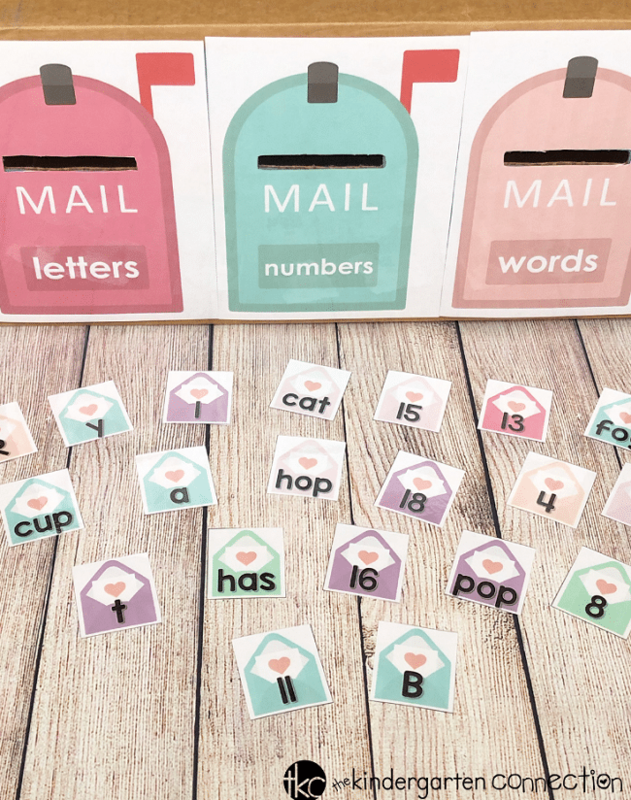 Take the letter, number, and word envelope cards and sit them in a pile or spread them out around your box. Pick a card and identify if it is a letter, number, or word. Place it in the correct mailbox slot. Continue until all cards are identified and sorted. 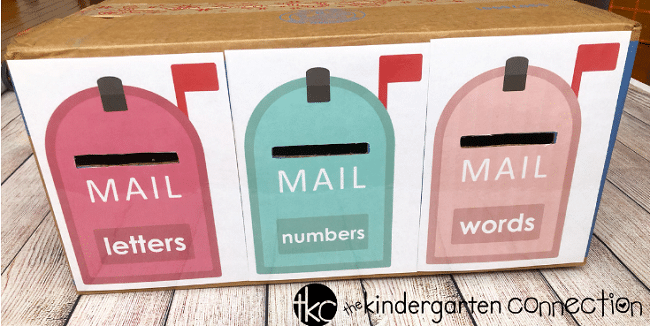 Helpful Tip 1: In a classroom setting, using one box per mailbox would allow you to check for sorting accuracy, but if you only have access to one box, you can easily place some baskets inside the box to collect the envelopes. Helpful Tip 2: To turn this into a self-checking center, draw a colored dot or shape to match the color of the mailboxes on the back of each of the different pieces before laminating. 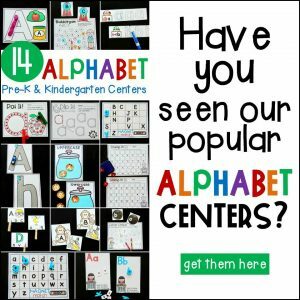 Grab your copy of the Letter, Number, Word Valentine Sorting Activity by clicking on the large, yellow button below. 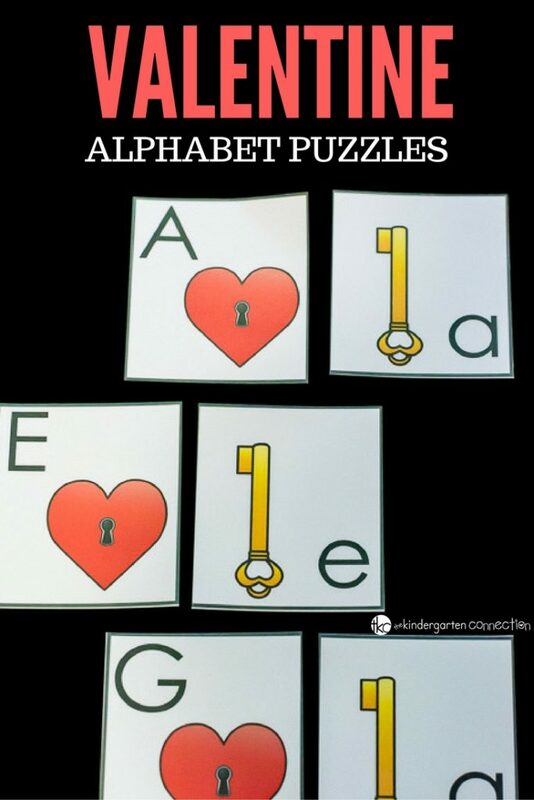 Then, hop on over to see Valentine Alphabet Puzzles! 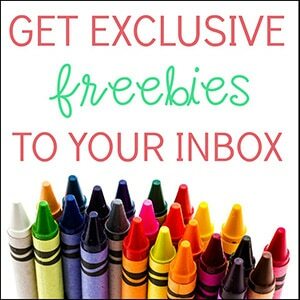 Thank you – my kiddos will love this! !